DOLE to offer P50,000 reward for illegal recruiters - Balita Boss! The Department of Labor and Employment (DOLE) will offer a P50,000 reward to concerned citizens who will report illegal recruitment activities which will lead to the arrest of illegal recruiters. The reward will come from an association of private recruitment agencies, Bello expained. 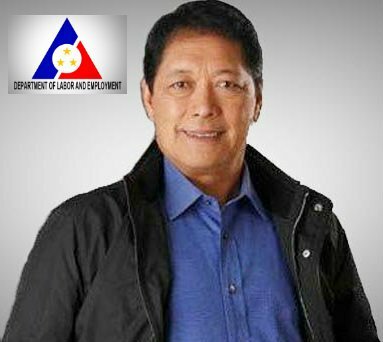 He added that the public can start reporting illegal recruitment activities once soon-to-be-activated DOLE hotline is activated. In hist first State of the Nation Address (SONA), President Rodrigo Duterte vowed to intensify the war against human traffickers and illegal recruiters. This was lauded by a group advocating the welfare of overseas Filipino workers (OFWs). The Bangko Sentral ng Pilipinas (BSP) reported that in the first quarter of 2016, OFW cash remittances rose to $6.6 billion, 4.4% higher than the level recorded in the comparable period in 2015, Rappler published in an article. These remittances are a major source of government revenue.